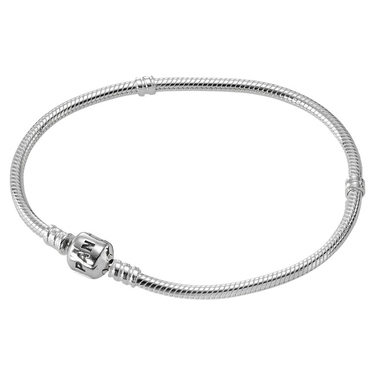 The iconic PANDORA bracelet makes the perfect gift for a loved one. The bracelet marks the starting point for you to collect your unforgettable moments and wear with pride. The most popular bracelet from PANDORA and the ideal choice to begin your journey into the world of PANDORA jewellery. Unique PANDORA clasp, designed to blend flawlessly with your charms. Firstly, this is not my first product I have purchased from argento. I got my fingers bought buying a Pandora from the amazon marketplace, which was so obviously a fake it was ridiculous. Anyway, product received... The silver bracelet, arrived in very good quality outer packaging, and was boxed internally in the official Pandora presentation box, AND given a Pandora gift bag. Argento are not the cheapest, but make the product and the purchaser feel and look special. I bought the 17cm bracelet for my girlfriend's birthday. The service I received from the staff in Argento was really great, they talked to me normally and made me feel really relaxed. A few other staff came over and helped me pick out the right size, it was such a friendly atmosphere. The bracelet seems to be of great quality, too! Love this bracelet I have got two already, one with just silver charms on and one with coloured charms and silver charms on and one with just one single charm on love them. I have also got the necklace with a fairy gold heart charm looks stunning. I would recommend these to anyone to start collecting. Very pleased. Just a brief note to say that, as last time your service, packaging and delivery were all once again excellent. 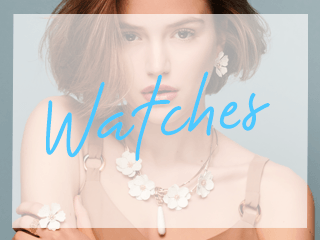 Sadly, we have to return the bracelet as it is slightly too big, so I would like the opportunity to review this service once the swap over is complete to be able to mark you down as excellent on all counts. Don't let me down - I have faith in you!!! Many thanks again, for a wonderful service. I will certainly use again. beautiful bracelet with super fast delivery.ordered at 4pm arrived next morning!Bracelet does tend to be small sized though. Excellent service, very helpful staff, prodcut(s) were delivered promptly. I will ceratinly use them again. I ordered the wrong size and had to order a replacement, which was delivered in 48 hours and the credit for the original was made immediately it was received, AND in full with no "handling charge". I was delighted that Argento had held the pre VAT rise price and held off on the HUUGE Pandora increases on 4th January. With my Christmas money, I could effectively afford an extra bead that I would not have been able to get the next day at the new prices. Brilliant service, everything beautifully wrapped, thanks. I RECEIVED MY ORDER 0N FRIDAY(A PANDORA BRACELET AND CHARMS THESE WERE A BIRTHDAY GIFT FROM ME TO MY MOTHER). THE PROMPTNESS OF YOUR SERVICE IS SECOND TO NONE! YOUR WEBSITE IS SECOND TO NONE ! AND THE PRESENTATION OF THE PURCHASE WAS SECOND TO NONE ! THE LOOK IN MY MOTHERS EYES AS SHE OPENED THE GIFT WAS PRICELESS !WHOEVER PACKS YOUR GOODS IS MOST CERTAINLY VERY ATTENTIVE TO DETAIL. ARGENTO.CO.UK I GIVE YOU 10 OUT OF 10. I bought the pandora braclet for my partner, well to say the least she was made up with it, the quality is amazing,and an ideal gift for any age. The problem i had was that i had ordered the wrong size. But i sent it back and recieved a larger size the next day, their customer service is the best i have dealt with. will be buying all the charms for the Braclet from Agento from now on. I had to change the Pandora bracelet for a longer length. I bought the 18cm bracelet as I have a 15 cm wrist, though I didn't think 18cm was big enough by the time I had all the charms on it. I sent it back on the Monday, and I hada new 20 cm one first thing on the weds.....Excellent service, I would def recommend using Argento, the service is outstanding!!! Was extremely pleased with my purchase from Argento, placed order on wednesday evening, was delivered free on friday morning. The braclet was packaged beautifully, perfect. Will I purchase again from Argentos website? most definetley, have also reccomended it to friends/family. Was very much appreciated by recipient. Which size would be best for my three year old daughter? Would this bracelet be ok with the PANDORA PAW PRINTS CHARM? Argento Replies: We would recommend 2-3cm more than her wrist size to allow for more charms to be added over time, without the bracelet becoming too tight. 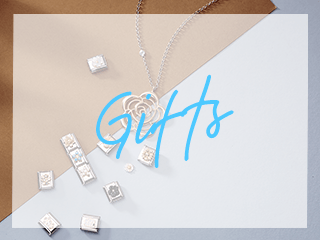 Argento Replies: All our Pandora jewellery comes in the appropriate Pandora packaging, so all bracelets will be dispatched in the presentation box! 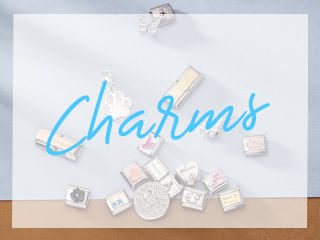 How thick are the pandora bracelets, and can other charms be added to the braclets? Hi, Could you tell me if the stated length of the bracelet includes the clasp please?